It can be a long, lonely slog, this writing caper. That’s why books like this anthology from Serenity Press are so valuable in keeping your mojo, and therefore your muse, happy. 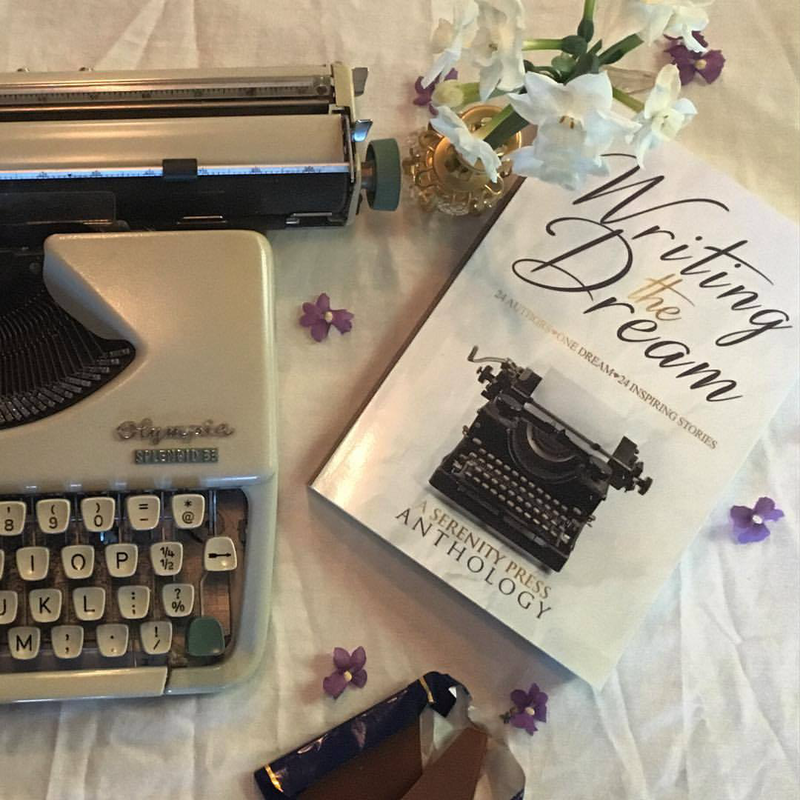 Writing The Dream is out now – and incorporates twenty five chapters, each by a different Australian Author |sharing their heartbreak and triumphs in the publishing world. Its full of tips and tricks, the good the bad and the ugly in the publishing world. Each journey is different -ranging from indi to traditional published authors, but are alike with the common theme of a love of words, and a hope to share them with others. Each author has also included five tips for writers, along with their journey to publication. Persevere: you know the one thing that all published books have in common? They were finished. Keep going (…as long as you are enjoying it.) Even on the days it sounds like crud, stick with it. You can always edit a bad page, but you can’t fix a blank one. (Except for those grey days when the muse calls in sick entirely, then I recommend buying stationary – file cards, Post-Its – knock yourself out). Find your pack: Writing is an isolating occupation. It’s true that I write by instinct, but when instinct fails, craft takes over. That’s when you need ‘handholds’: a cheer squad, hints and tips, writerly advice to keep you moving forward, and the best support comes from other writers. Publishing is an industry based on relationships: with bloggers, with editors, with readers, and between authors. It is the best use for Facebook I’ve found. There is no one way to write: be wary of the person who tries to tell you to ‘plot’ when it the very idea makes you sweat, or ‘wing it’ when the very thought makes your eye twitch. Treat any advice like a smorgasbord. Taste it all. See if you like it, but at the end of the day, only eat the bits you like. There are no rules (except for these -these are gold J) It’s just what you have the skill to get away with. Masters’ of their craft can get away with murder if they do it right, and with purpose. Readers aren’t idiots: Leave a gap for the reader to fill – to join the dots, to place the last piece of the puzzle, to feel involved. Sometimes you have to pull back to make people lean in, so you don’t need to spell out everything (show not tell – but don’t do both). QW The Queensland Writer’s LIfe Interview.